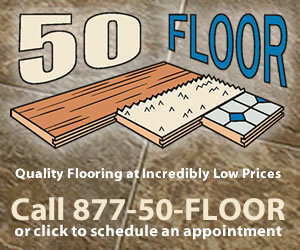 Thank you for taking the time to share your experience on partnering with 50 Floor for your flooring needs. While reading your review, we understand that you are unhappy with your carpet installation. This is never our intent for a customer. Your floor matter is currently being addressed further and we appreciate you for giving us the opportunity to do so. Please accept our apology for any inconveniences that may have been caused to you. Thank you for choosing 50 Floor. I have called three times and left messages with a Chad Crowder about how the seams on my carpet look. you can run your hand along it and feel how they overlapped the seams. You can look down the seam line and see how it is not straight . Reason of review: bad instalation. Preferred solution: Make it Right if that means replacing carpet and pay for my own installers then make so. I didn't like: Deplorable customer service, Unsatisfied. Review #1058718 is a subjective opinion of User1058718.